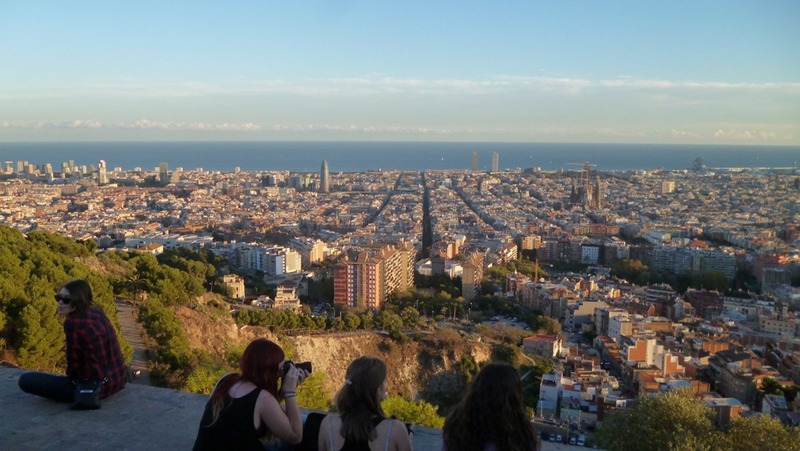 During my second week in Barcelona, I went to a Couchsurfing event and was chatting with a girl who told me about this place called “bunkers”, an old Spanish civil war bunker on top of a hill built in the 30s. She’d been living here for a few months now and told me it’s the best view of Barcelona she’d seen, even better than the view from Parc Guell, probably the most famous park in Barcelona (which, by the way, started charging for entry just a few weeks ago). She was very enthusiastic telling me about it and highly recommended it. So I made a mental note to visit it before I leave Barcelona. So far, I’ve been there 3 times already and enjoyed the views each time. It’s easily my favorite spot in Barcelona. 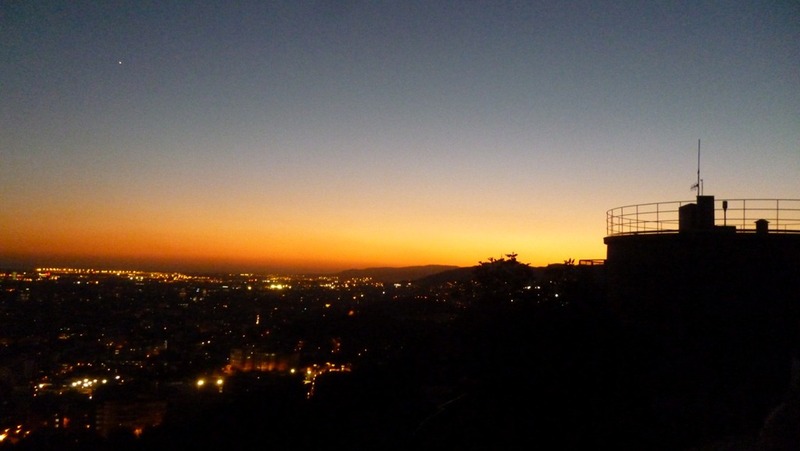 It gives you a beautiful 360 degree view of the city and really nice to visit just before sunset and see the city come to life at night as the lights turn on. The best part is it’s completely free. The funny thing is, many locals don’t even know this place exists. A Catalan friend of mine told me that she’d actually only discovered this place about 3 weeks before I asked her about it. She also told me that it became more popular because of the movie “ Tengo Ganas de Ti (I Want You),” as there was a love scene in the movie shot here. Because this place is not so popular (yet), it was never packed each time I came here. We were able to sit down and enjoy the views peacefully. It usually gets the busiest around 6pm. You’ll see people having a picnic up here, playing their guitar, or taking funny pictures. 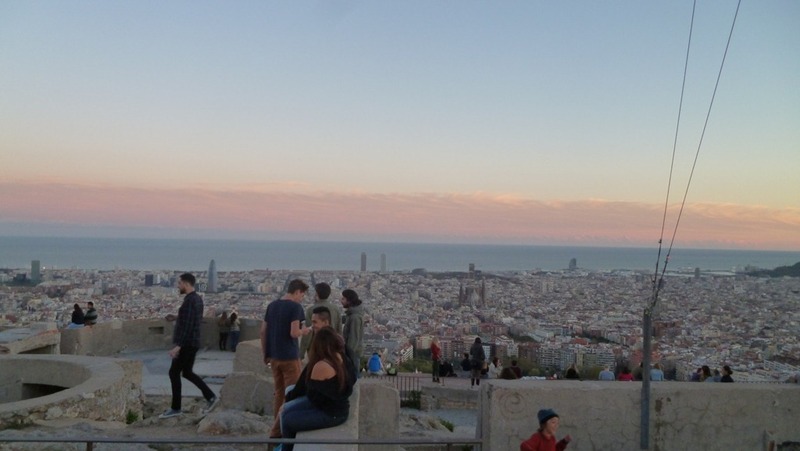 My Catalan friend told me not to tell anyone about this place as it’s one of the few places in Barcelona that is not yet filled with tourists (no one really reads this blog so I hope she wouldn’t mind me writing about it). Now, for the most important part, I’ll tell you how to get there. 1. Take metro line L4 (yellow) to station Alfons X. 2. From Alfons X, take exit Ronda de Guinardo. 3. Outside the exit, cross the street in front of you and turn left, going up hill. Just keep going up hill and you’ll eventually see it. From the Alfons X station, it will take about 25-30 minutes to get to the top of the bunker. A little steep but not that bad. The views will definitely be worth it.